HIGH POWER SPECIFIC BAR DEDICATED TO LOGISTICS APPLICATIONS. 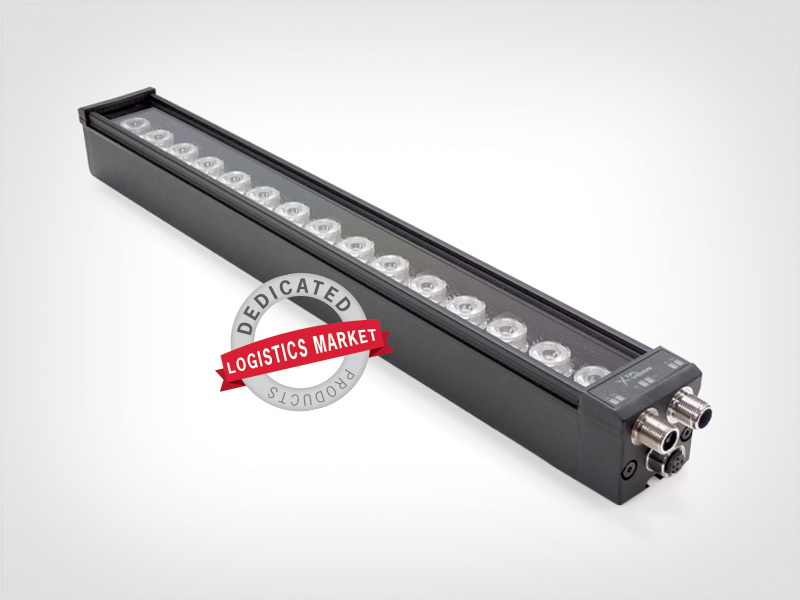 The EBAR Logistix is a high brightness lighting solution, dedicated to identification applications in logistics. 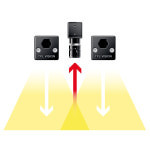 Using the EBAR Logistix, you can close the lens aperture, and consequently, increase the depth of field (from 1 to 2.5 meters). This new lighting solution benefits from the Curve Concept, offering full homogeneity on the illuminated surface, including on the edges. 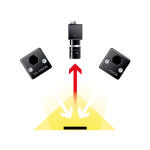 With the EBAR Logistix, you can optimize the number of cameras and lights. The EBAR Logistix is equipped with very specific high power LEDs – either blue or red – that help to increase label contrast on a cardboard box and code contrast on label. DIRECT CONNECTION TO THE CAMERA.